oh hey look at that, a first look at the actual, diegetic script used in the Grassblades universe! * I haven’t constructed a proper cipher for it, so the individual symbols aren’t representing real words, syllables or letters – it’s just the general look of what their writing system would be like. 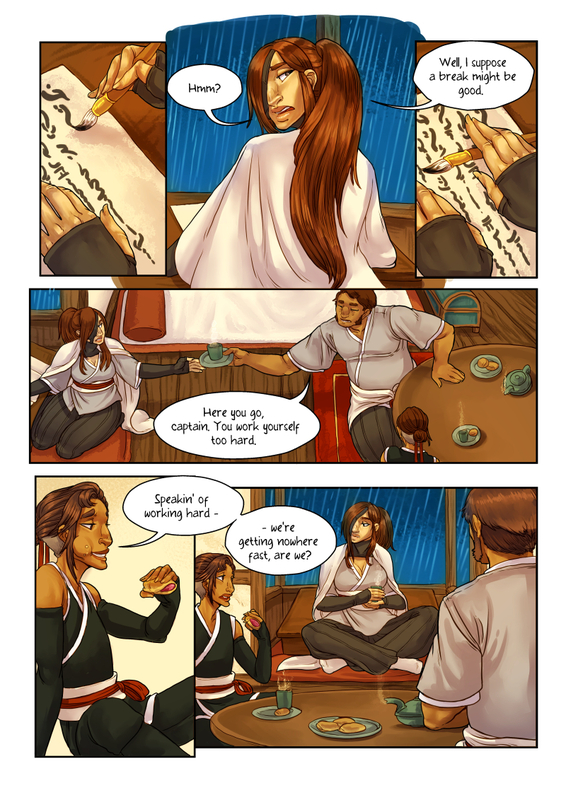 … although it does share a few minor aesthetic similarities with an actual cypher I constructed for Fathoms of the Sky, a much older comic of mine.